All the eyes will be on the special stage collaboration between Wanna One and SECHSKIES, who will be performing their hit tracks on the annual music program. 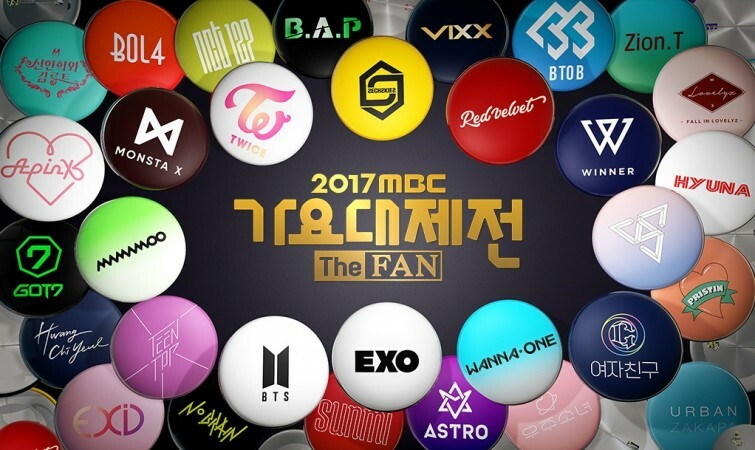 Get ready to rock and roll as the MBC Gayo Daejejun 2017 is all set to take place on December 31. The end-of-the-year musical program will kick-start at 8.35 pm KST (5 pm IST, 1.30 pm CST and 6.30 pm EST). Big names from the Korean music industry, like EXO and BTS, have been added to the celebrity lineup for this year. However, all the eyes will be on the special stage collaboration by Wanna One and SECHSKIES. The star-studded show will be broadcast live on MBC this Sunday at 8.35 pm KST. Click here to watch the end-of-the-year via live streaming on the official website of MBC. The K-Pop fans across the globe can also watch the event live online here. The annual event will also be available online here and the Korean music lovers can also watch the show by clicking here. For additional details on red carpet arrivals and celebrity presenters, stay tuned on MBC website. The girl groups confirmed to attend the end-of-the-year music program are EXID – the five-member group under Banana Culture Entertainment, Red Velvet – the five-member band under SM Entertainment, TWICE – the nine-member group under JYP Entertainment, Lovelyz – the eight-member group under Woollim Entertainment, PRISTIN - the 10-member band under Pledis Entertainment, MAMAMOO – the four-member group under Rainbow Bridge World, GFRIEND – the six-member group formed by Source Music, and Cosmic Girls – the South Korean-Chinese group formed by formed by Starship Entertainment and Yuehua Entertainment. The boy bands performing at the star-studded award night include EXO – the South Korean Chinese group under SM Entertainment, BTS – the seven-member group under Big Hit Entertainment, Wanna One – the 11-member music group formed by CJ E&M, VIXX – the six-member group under Jellyfish Entertainment, SEVENTEEN – the 13-member group under Pledis Entertainment, WINNER – the four-member band under YG Entertainment, MONSTA X – the seven-member band under Starship Entertainment, ASTRO – the six-member group formed by Fantagio, NCT 127 – the five-member group formed by SM Entertainment, GOT7 – the seven-member group under JYP Entertainment, BTOB – the seven-member group under Cube Entertainment, B.A.P – the six-member group under TS Entertainment, SECHSKIES – the six-member group under YG Entertainment, and Teen Top – the five-member group formed by TOP Media. MBC Gayo Daejejun will also feature solo performances by Zion.T, Sunmi, HyunA, and Hwang Chi Yeol, along with No Brain, Bolbbalgan4, Shin Hyun Hee and Kim Root, and Urban Zakapa. SECHSKIES and Wanna One have confirmed to share the stage for a special performance.